Never pay per post. Your inventory reaches every interested buyer on Facebook within 100 miles of you and stays updated all the time. Messages you receive from those listings will be easily accessible from your Hammer account along with full analytics, so you'll never question the value Hammer brings. How many vehicles can I post? We'll send your full pre-owned inventory to Facebook Marketplace. All of it. Updated daily. What do I need to get started and how long will it take to go live? We'll need an active inventory feed and authorization to connect to your business Facebook page to get started. We usually have our dealers live on Facebook Marketplace within a few hours of when their feeds come in, but all we'll need of your time is about 10 minutes. 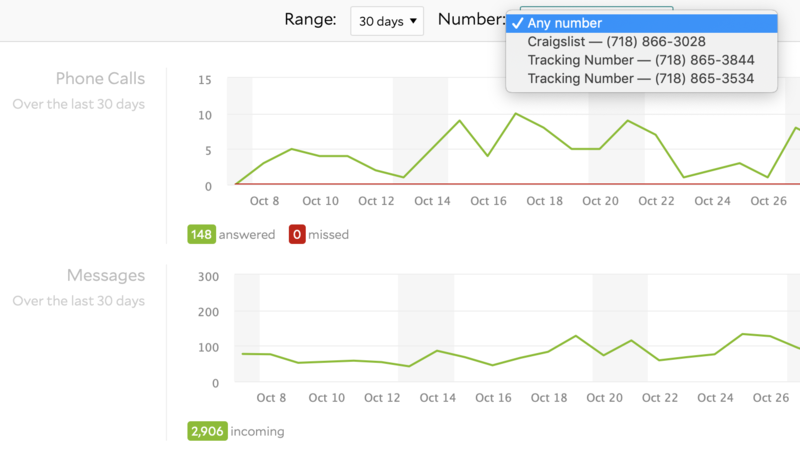 Once your inventory goes live you can expect an avalanche of incoming messages - most of them outside business hours. Don't get overwhelmed! Our First Responder team is made for this. Our First Responders are live people who respond to your customers messages instantly - 24/7. They give accurate and informative answers because we get the information straight from you. The best part is they won't just send you leads. They'll generate offers, appointments, and completed credit applications. 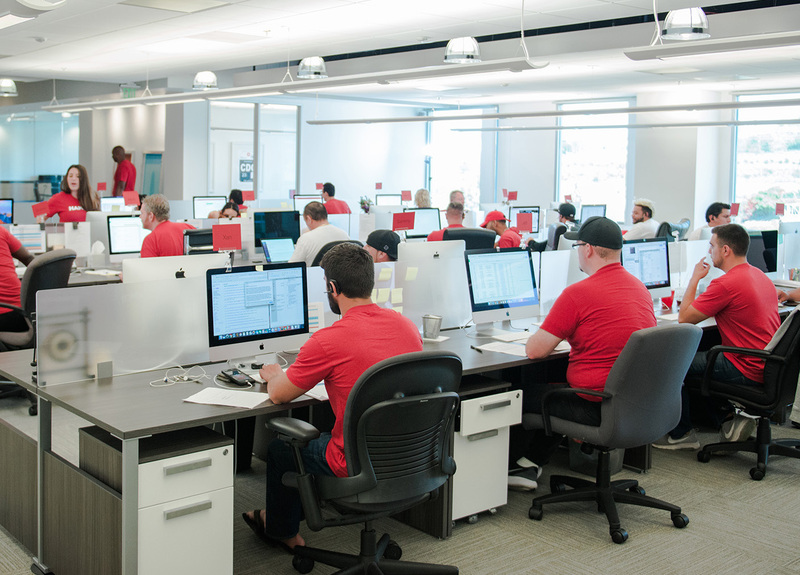 Sit back, and let the sales come to you while we provide the ultimate customer service experience. 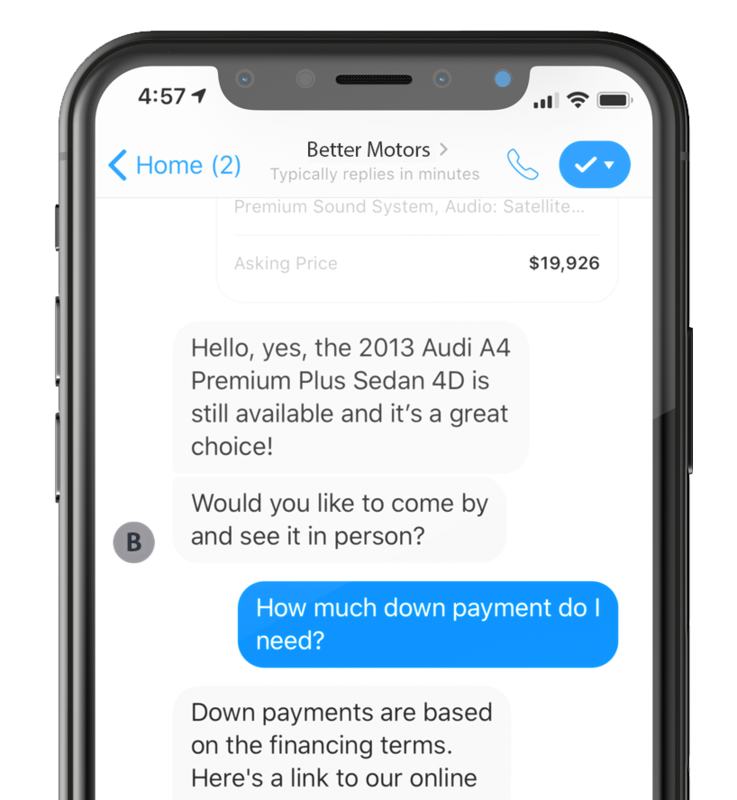 We're one of only a few providers that are both Facebook Marketplace Listing Partners, as well as a live chat provider for Messenger. 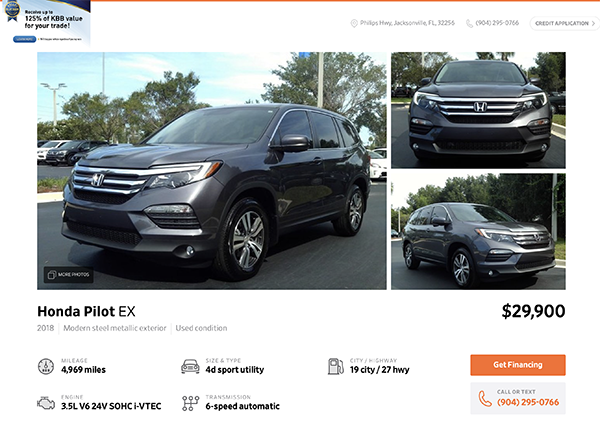 As a Facebook Marketplace Listing Partner, we'll post your inventory as a dealership listing on Marketplace, making it easy for the most serious buyers to find you. 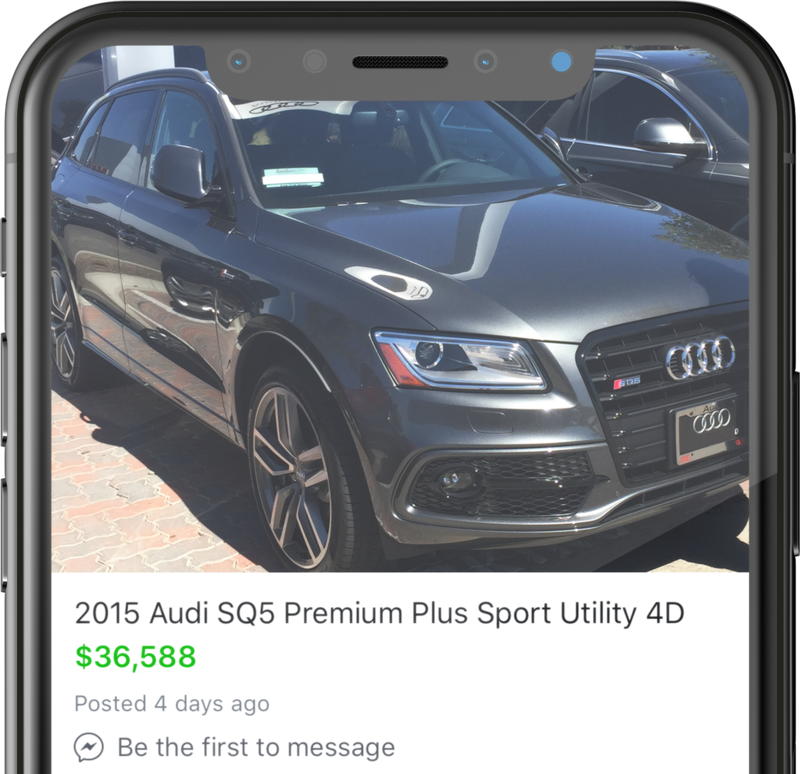 With more in-market car buyers than anywhere else in the world, there’s no question that you need have your inventory posted to Facebook Marketplace. If this offer wasn't already too good to be true, we'll also provide you with a unique tracking number that'll route all your messages to one place. Oh… and they’re callable too! You won’t have to guess where your sales are coming from. A short prerecorded message will always let you know where your customers are coming from. A fully integrated Facebook solution wouldn't be complete without an integrated website. What the heck? We'll throw that in too.